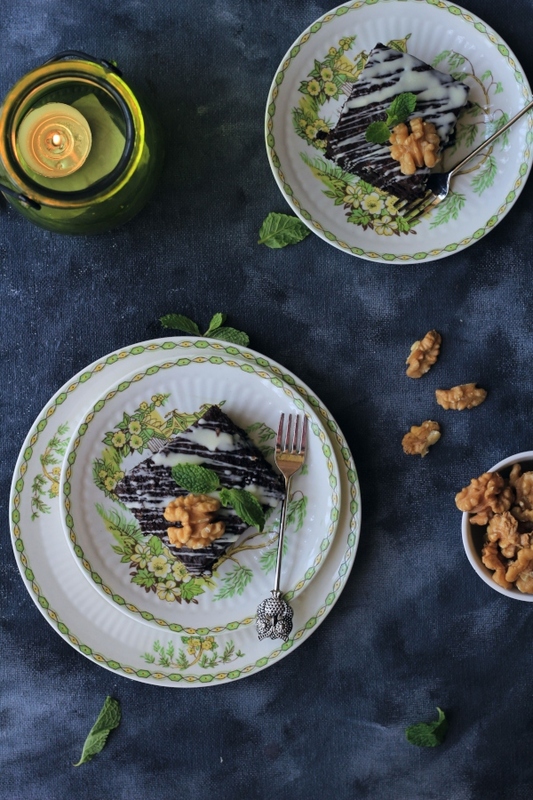 The wonderful world of blogging in general, and food blogging in particular has opened my mind and widened my scope of self taken challenges like never before. A couple of months ago when I was baking and writing about an Italian favourite tea time biscuit the Biscotti, little did I realise that what Biscotti is to Italy, Rusks are to India, they are sold in almost all supermarkets, and neighborhood kirana (grocery) stores. Many an evening and err... morning were spent by me earlier with my grandmother, then parents, and now husband and son, dipping a crispy butter lathered rusk, into our evening (and morning) chai (milk tea), chit chatting about the days happenings. Casually referred to as "Toast" since it is made from day old, dried bread (a trend started by bakeries, to use up left over bread), rusks are nothing but twice baked biscuits. As the popularity of these bread toasts grew, a new variant, one that was made from left over/ dried cake was born, and thus christianed "Cake Rusk"
A little bit of web searching, revealed, that the method to make this rusk was a very simple one, and since the cake rusks from our neighborhood bakery are much loved by my dear toddler, I set about my merry way to make some. Here I've used my foolproof one bowl vanilla cake recipe (which I have no idea why I haven't shared with you before) to make the cake. You can however use leftover cake (which is never is possibility in my home), store bought cake or cake that has dried out due to the weather (w.r.t our good old Pune weather). 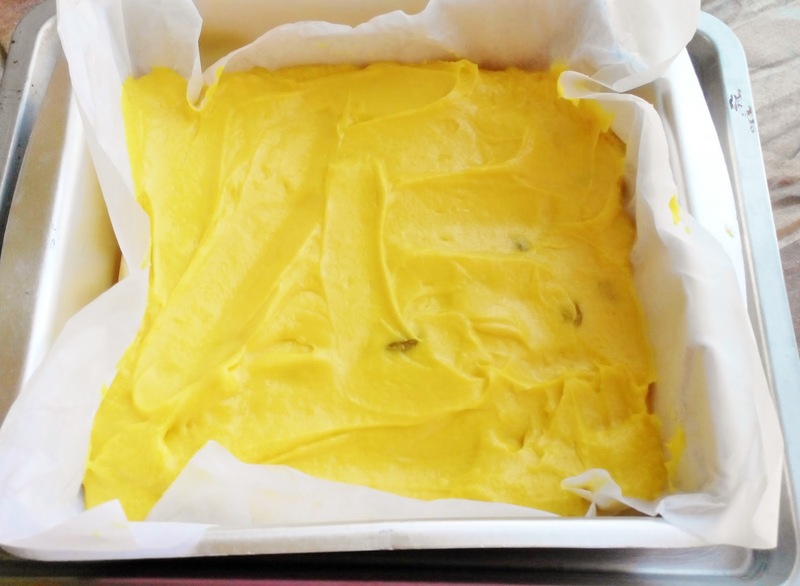 Line a cake tin with parchment paper and brush with butter, oil or cooking spray. In a bowl cream the butter and jaggery till pale in colour and fluffy. Next add in the egg and vanilla and combine well. Now add in the dry ingredients and fold in with a light hand. Next add in the milk, incorporate it well into the batter. Lastly add in the food colour and raisins and mix to combine. 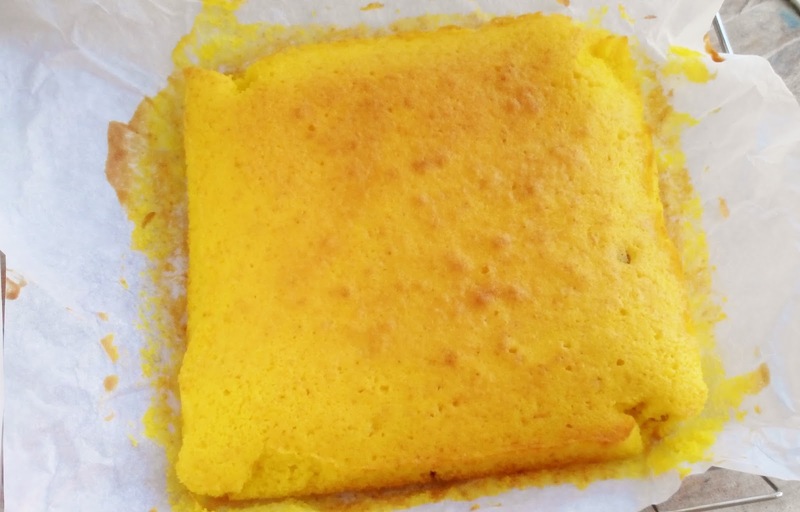 Cake is done when a skewer or toothpick inserted in the center comes out relatively clean with a few moist crumbs attached to it. Allow the cake to come to room temperature. Bake in a preheated oven (160 degrees celcius / (320 degrees F)) for 20 mins i.e. 10 mins on each side, or till the edges are golden brown in colour. The rusks will crisp up further is they cool. A cakey, sightly chewy interior, with a crisp and crunchy exterior is ideal. 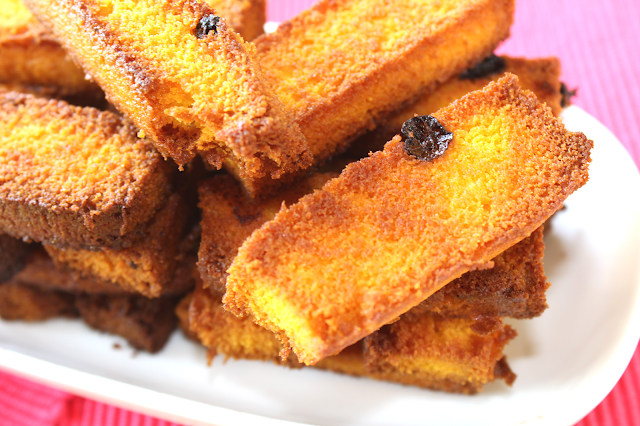 Go grab you favourite beverage and make these rusks today!